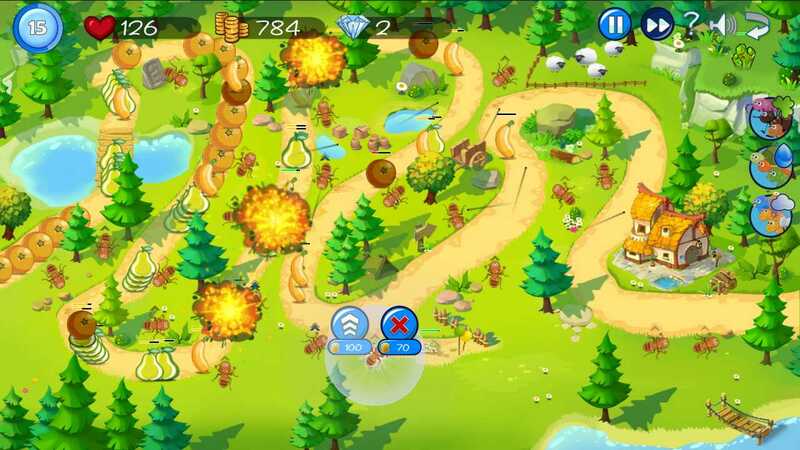 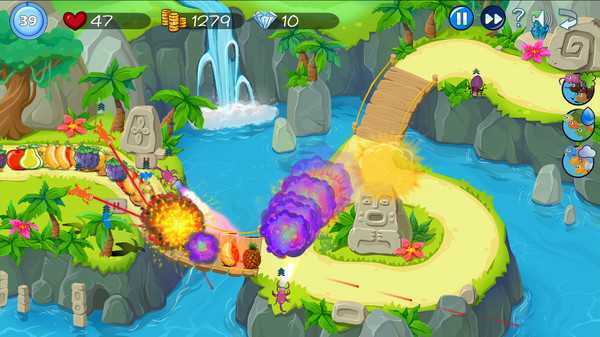 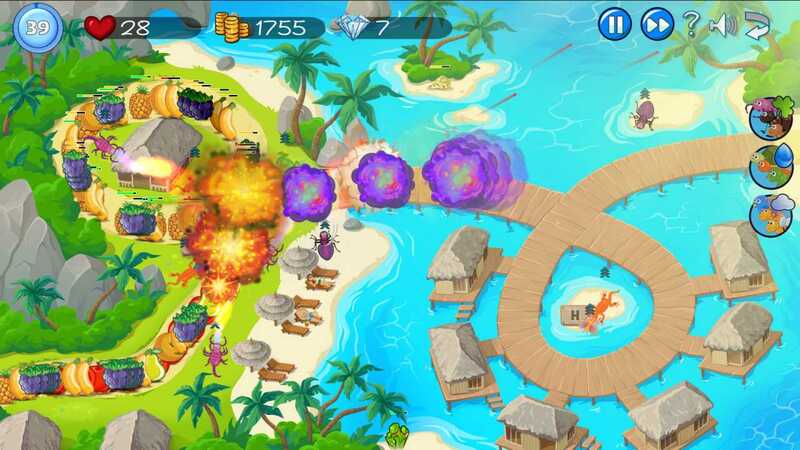 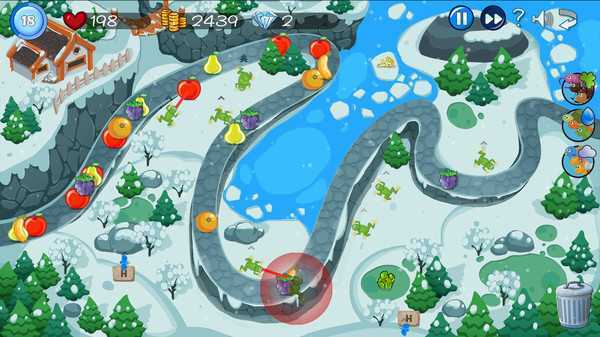 Fruit Tower Defense is a strategy video game developed by indie studio Fratboy Entertainment. The game consists of 15 levels across 5 worlds, with each world hand-drawn and designed by a different artist, giving each world a unique feel. Fruit Tower Defense is ad free and does not contain in-game purchases.